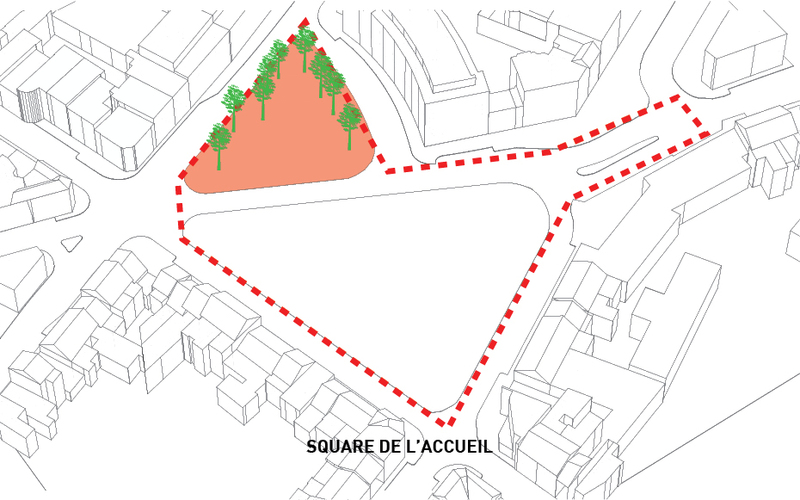 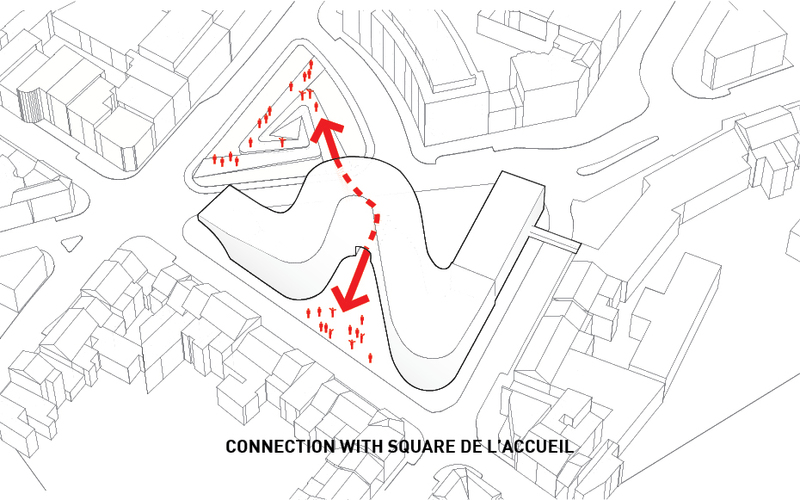 The Square de l’Accueil project, located in Evere (Brussels) presents a nearly unique and unprecedented condition for us: the site owned by the municipality and composed of a series of houses, public spaces and the cafeteria of the local primary school, is where Julien De Smedt, our founder, lived until his third year of Architecture School. 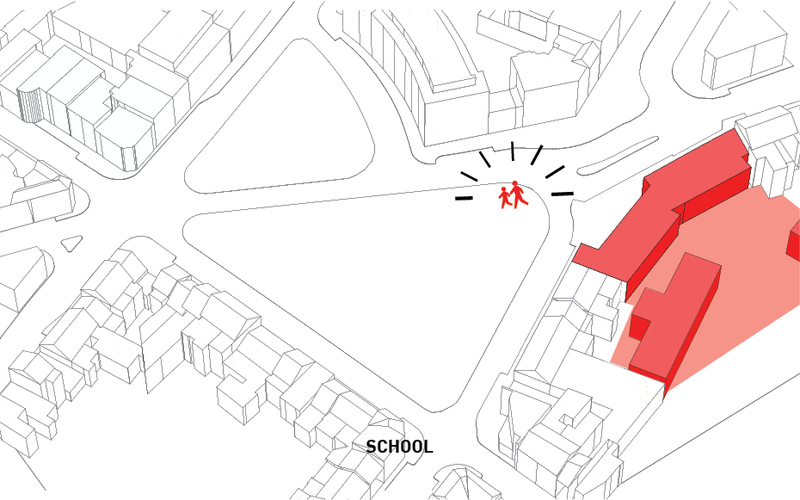 The school, Clair-Vivre, is also where he had is primary education degree. 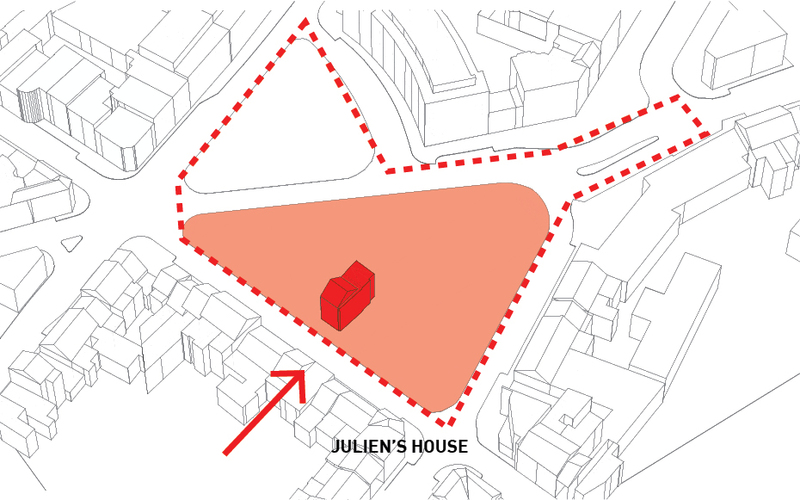 The house in which he lived, and where his mother lived until she passed away, was part of the masterplan and meant to be replaced by the newly designed project. 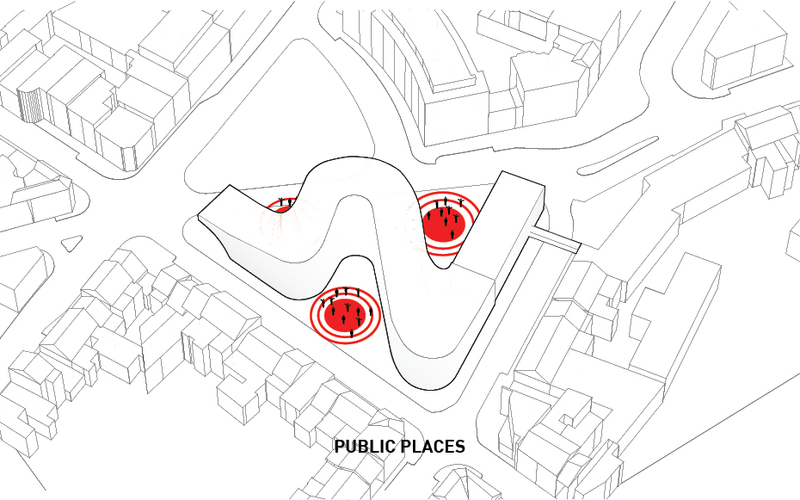 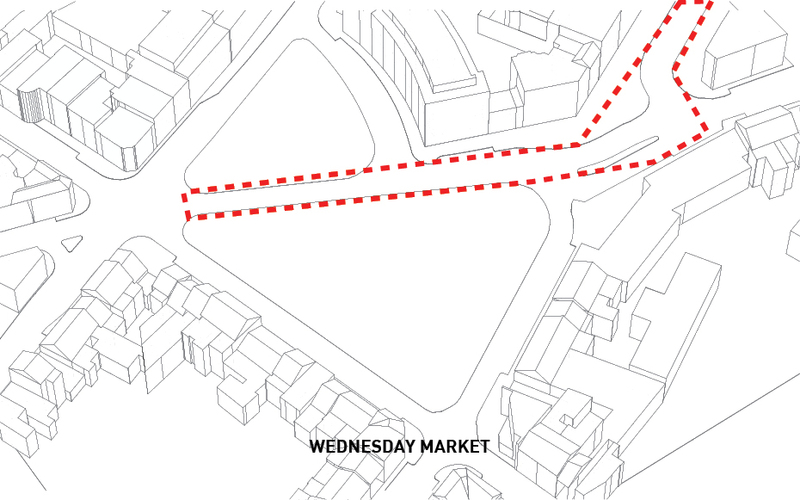 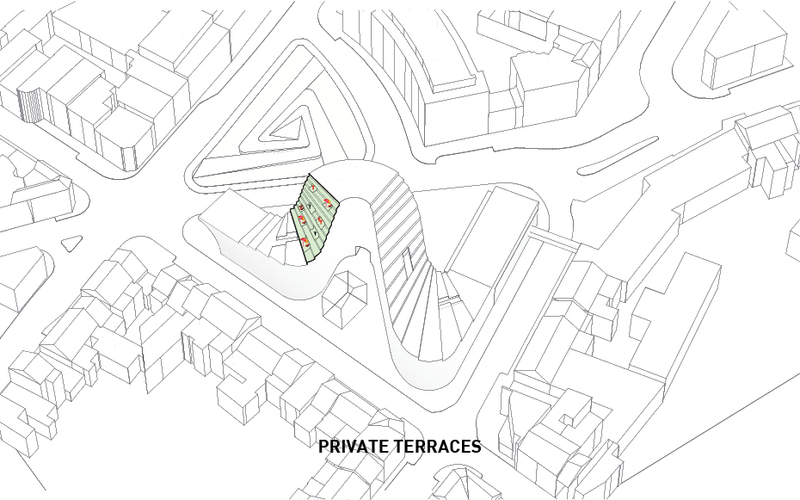 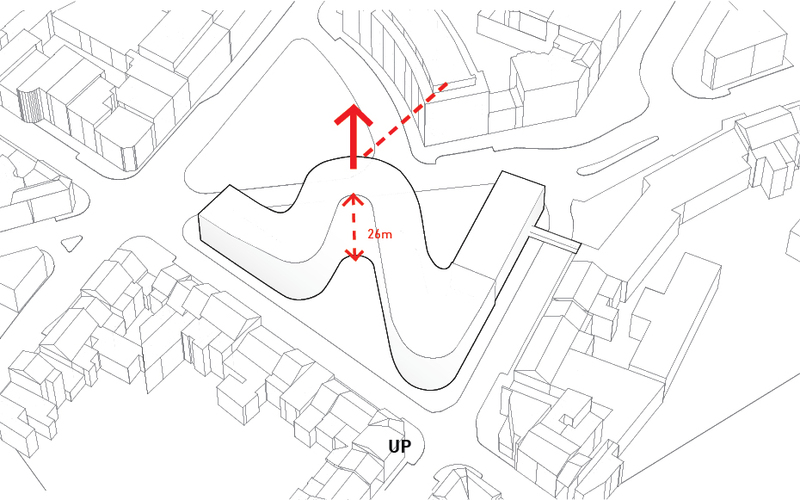 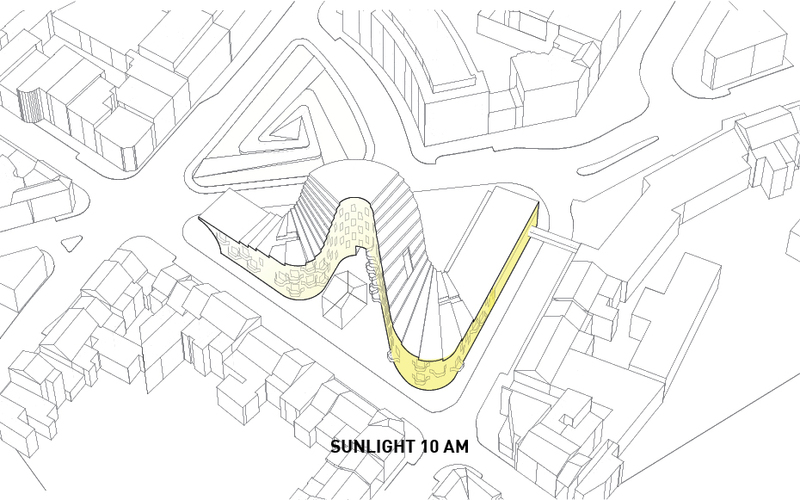 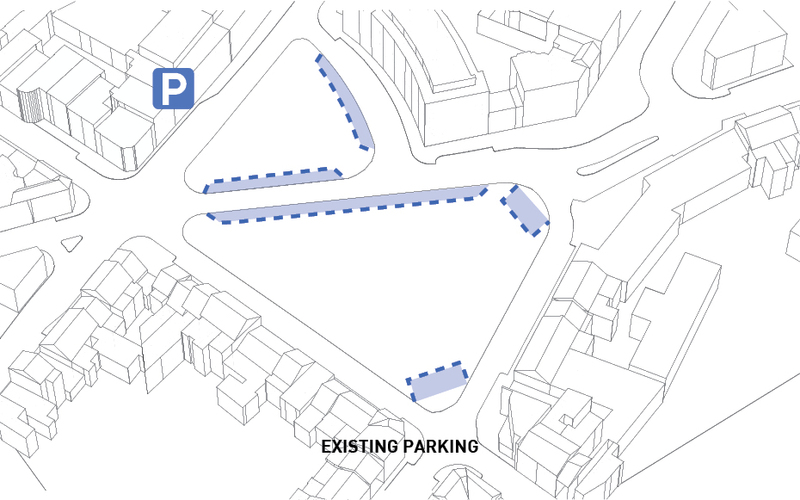 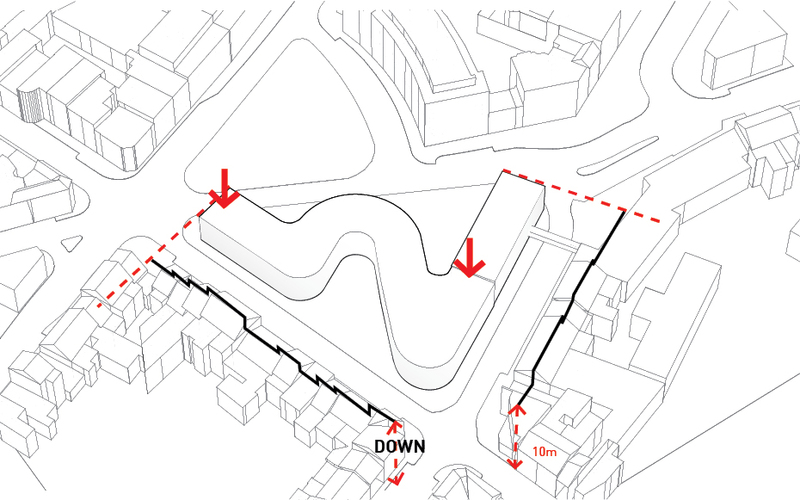 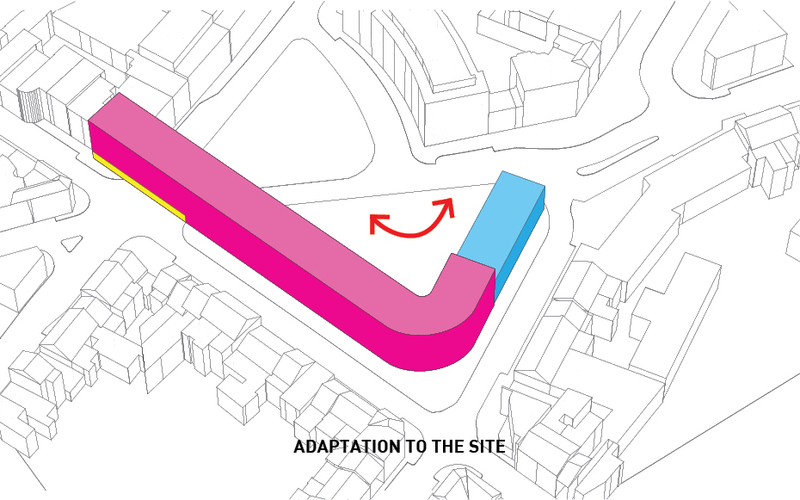 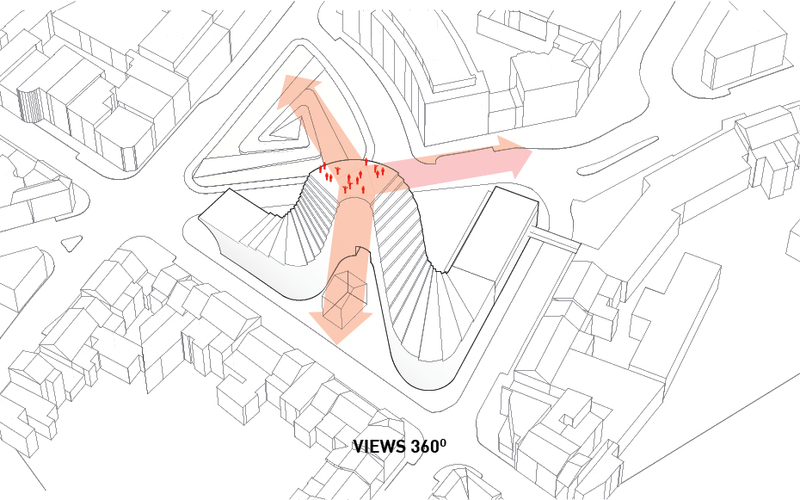 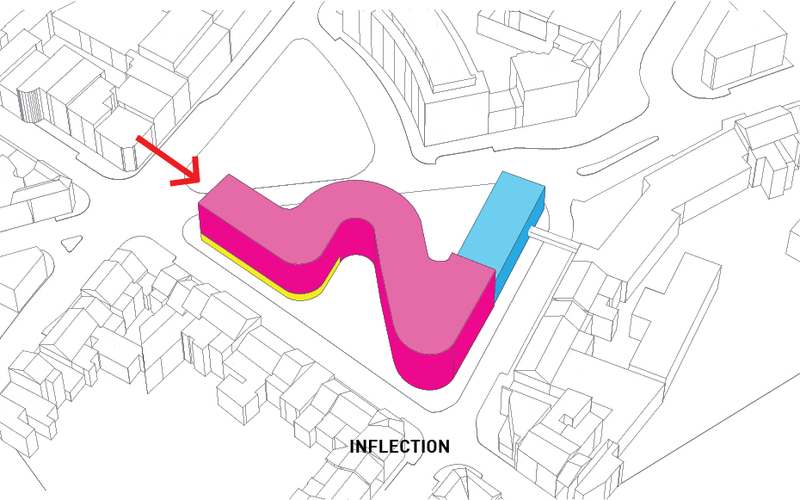 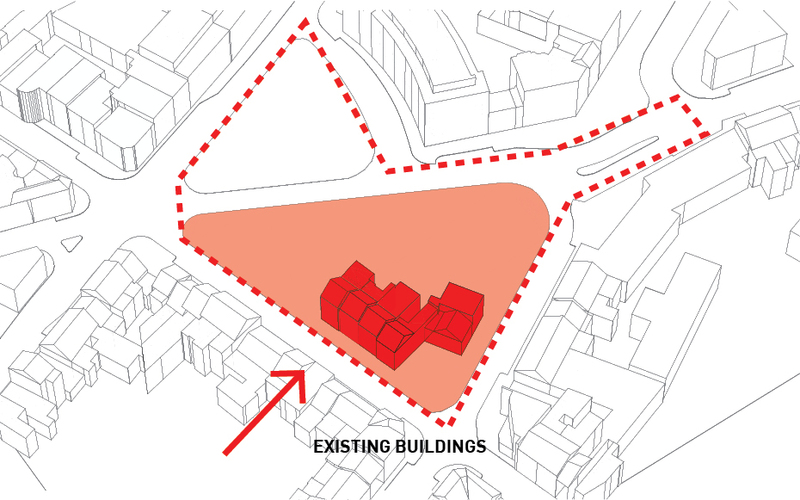 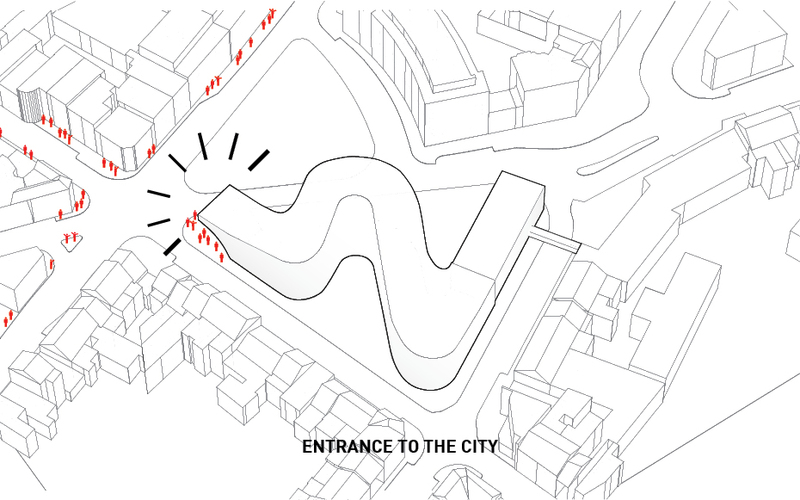 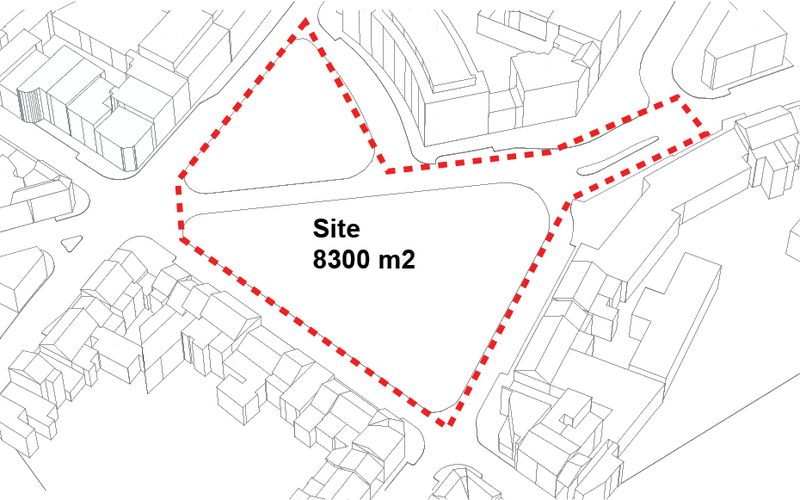 In this context our intervention became very particular, on the one hand marked by the desire to fully address the project’s brief and on the other hand, to fully inform our design by the intricate knowledge of having apprehended the entire site and surrounding neighborhood, years after years while growing up. 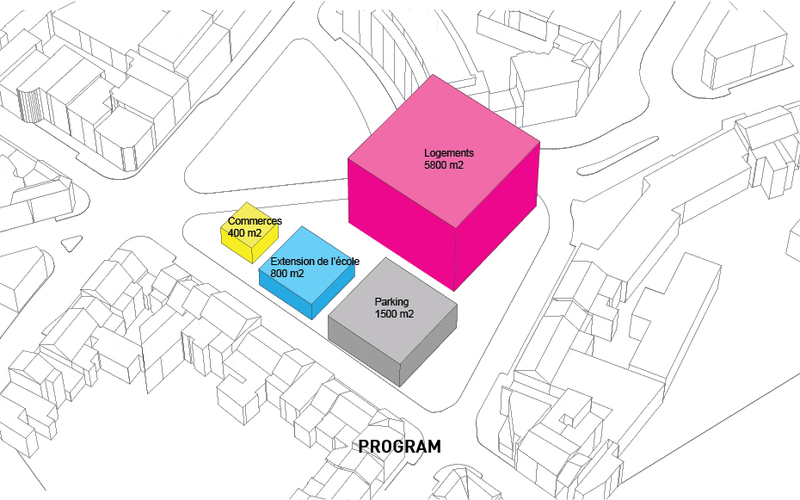 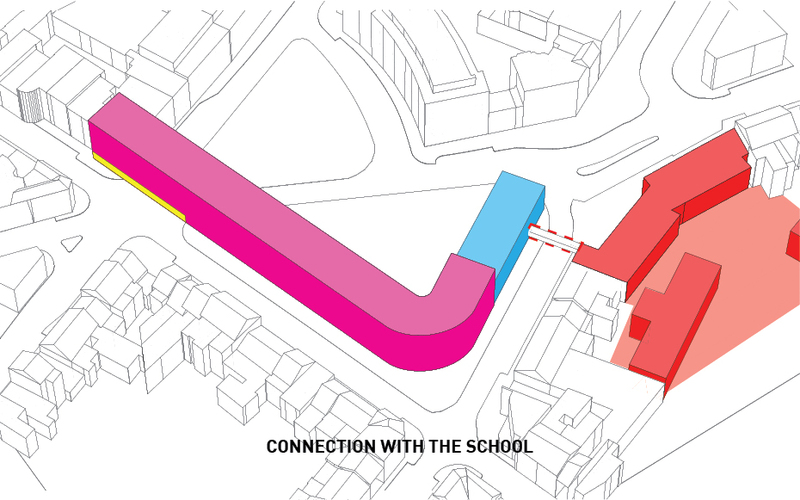 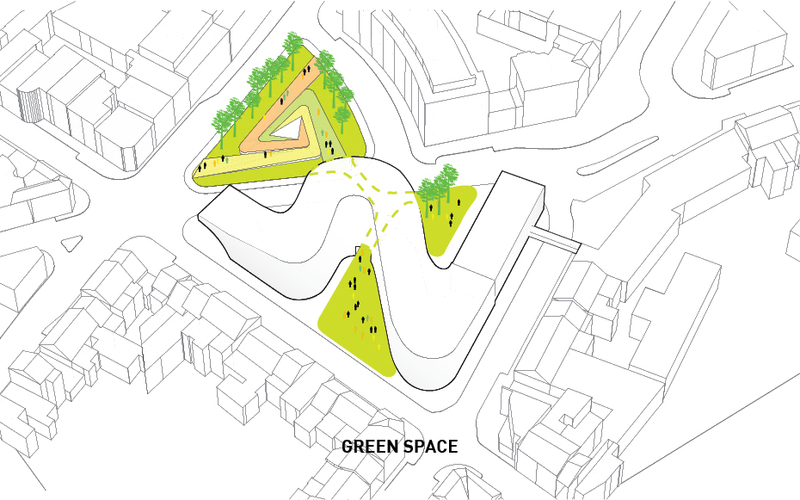 The project organizes the mass of new programs, the large scale housing slab, in order to allow a series of public space interventions and to integrate the school sports hall and cafeteria into its urban logic. 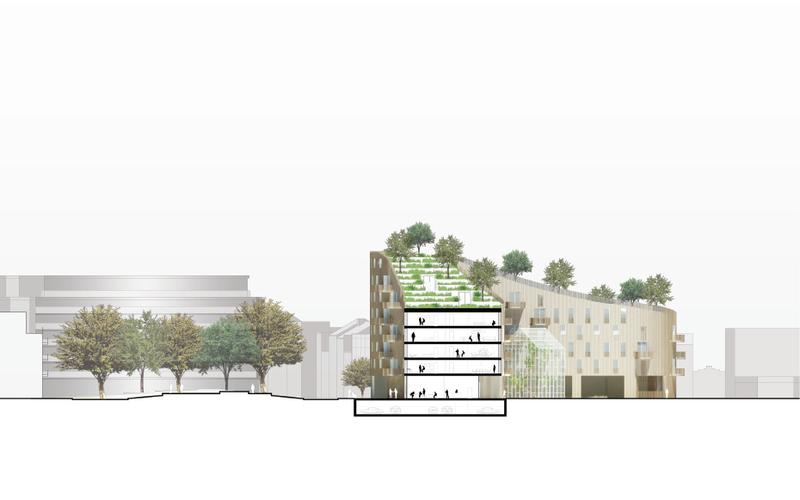 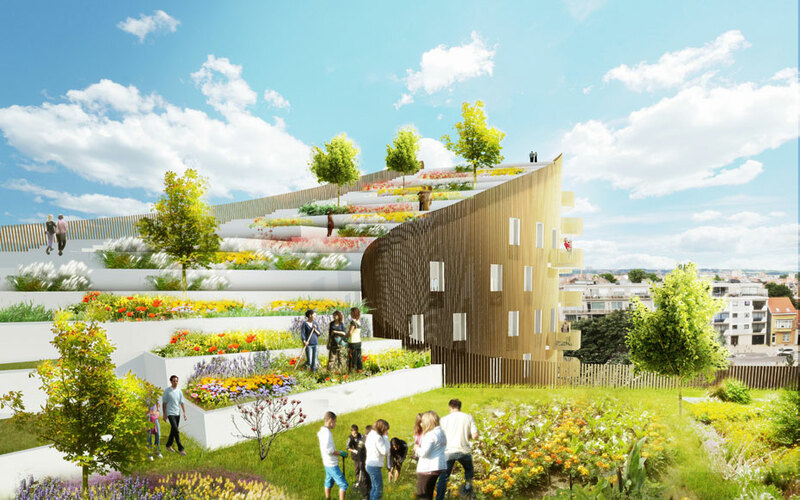 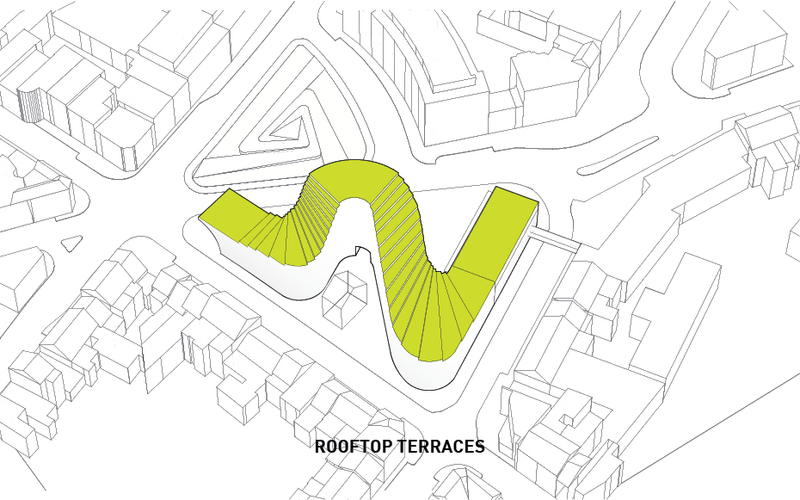 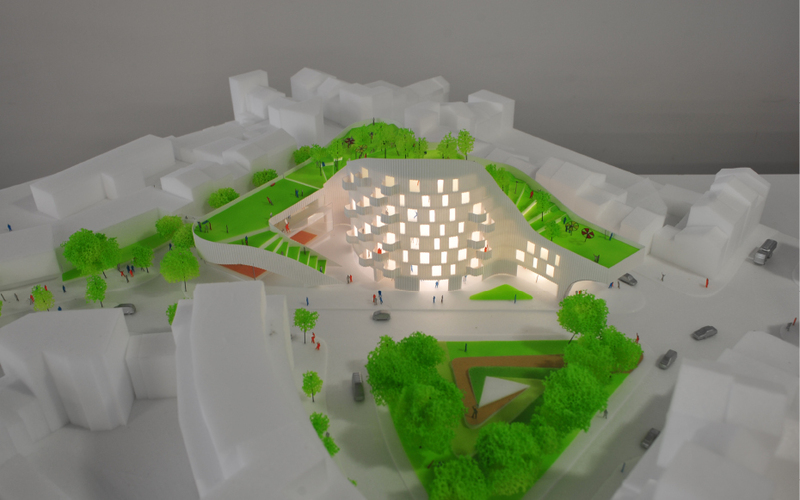 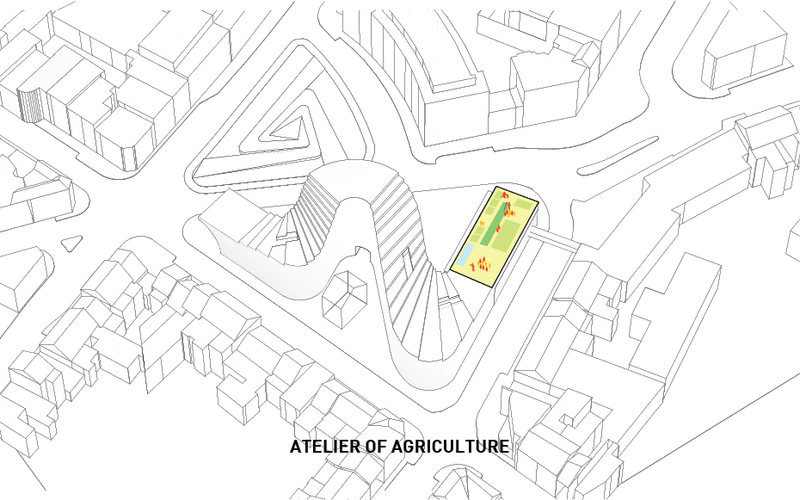 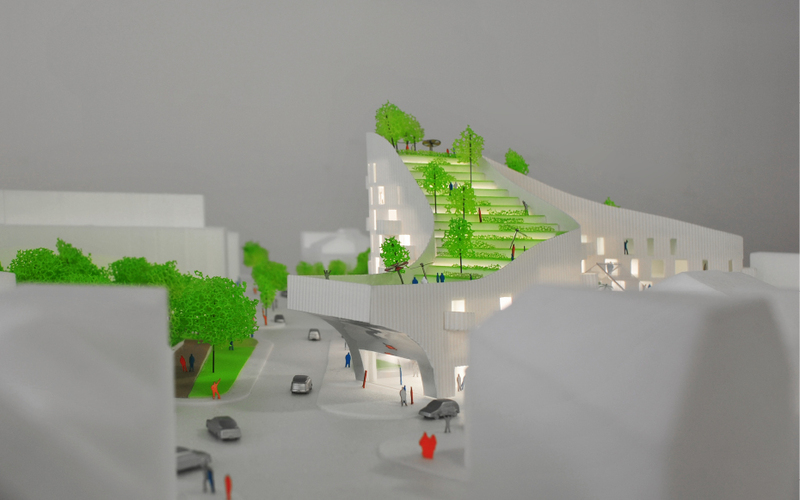 As Julien’s mother had done her entire time living there, the project proposes to make an urban farm and flower garden on the roof for the new residents. 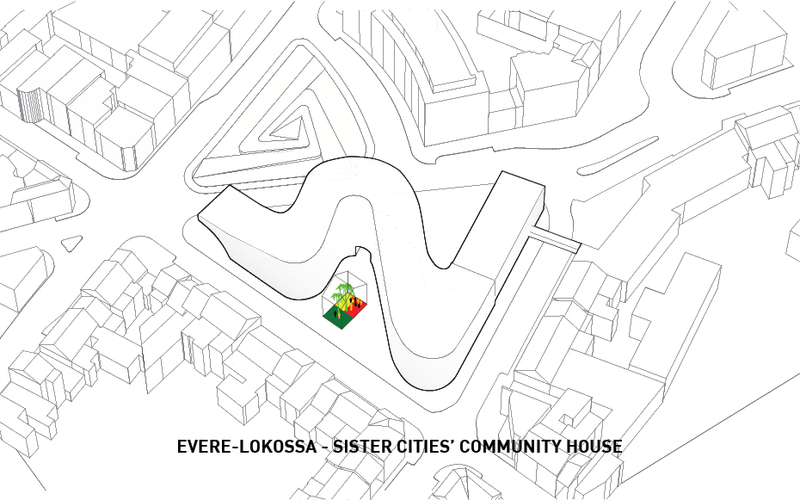 The volume of his house is kept but mutated into a greenhouse to serve as the community and cultural house of exchange with Lokossa in Bénin (Africa), the sister city of Evere. 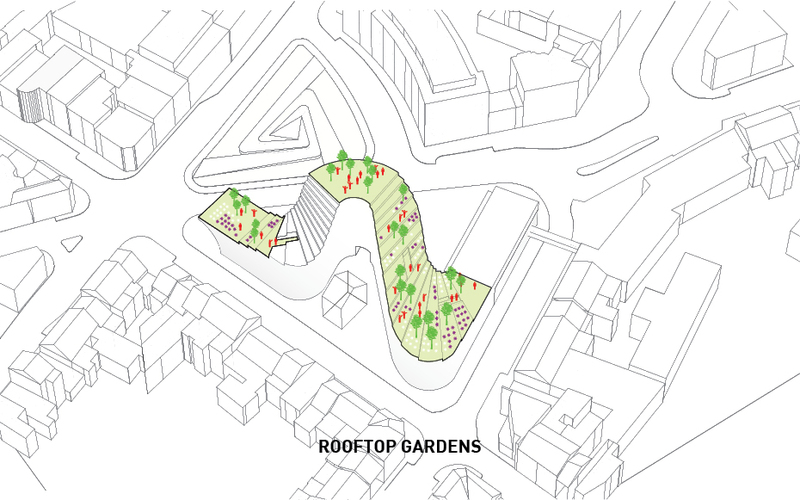 The greenhouse hosts a myriad of plants from Lokossa and functions as a gathering place for the local community. 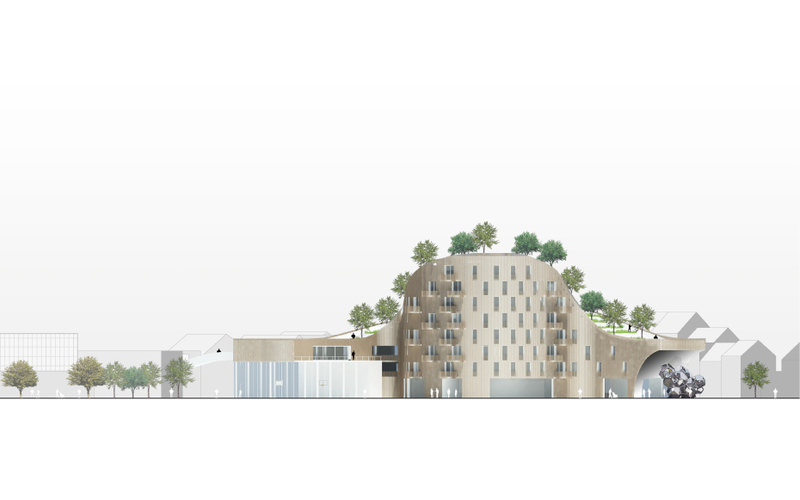 It is a form of homage to Julien’s mother love for African cultures but it also answers the necessity of a place for the 2 municipalities to relate. 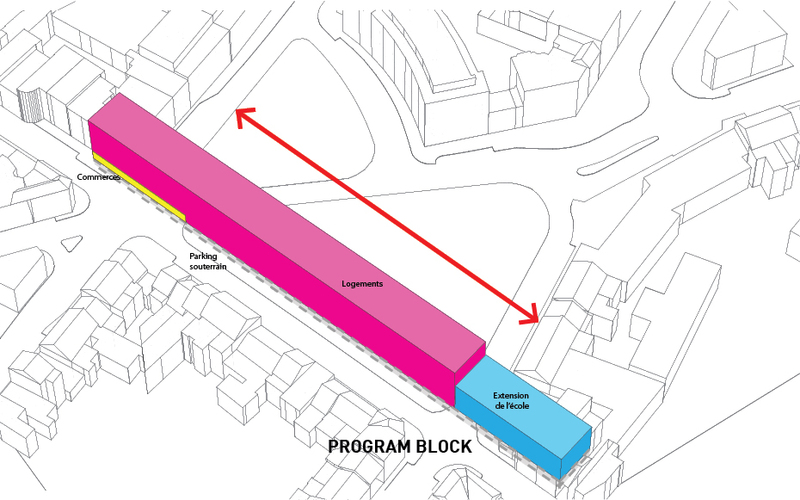 The winning project was a traditional, enclosed perimeter block structure.